The easiest way to schedule an appointment, reschedule or cancel is by clicking the “flower” logo or “BOOK NOW” button above. Can’t remember your login info? Text me at 402-314-2018 and I can send it to you! Located on the 2nd floor of Stoneview Center on the southwest corner of 48th and Pioneers. Your appointments are very important to me. Time allocated for an appointment is reserved especially for you. I do understand that sometimes schedule adjustments are necessary; therefore, I respectfully request at least 24 hours notice for adjustments to your appointments and for cancellations. My policies are designed to benefit my guests and provide in the best quality and tradition of excellent servicing for my established and future clientele. Notification given less than 24 hours prior to appointment time will result in a 50% charge of the reserved service amount. This also applies with the use of a gift certificate. Failure to not show up for your appointment will result in a 100% charge of the reserved service amount. This also applies with the use of a gift certificate. 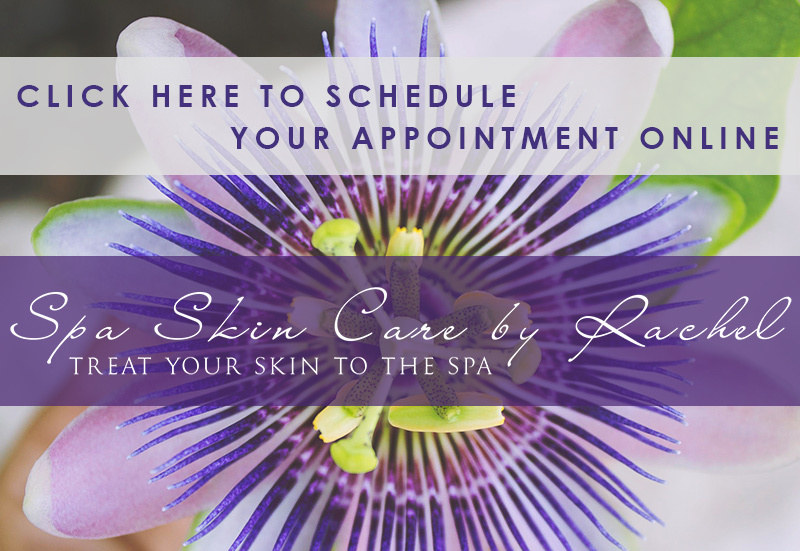 Clients with two no show appointments will not be allowed to reschedule with Spa Skin Care by Rachel. Existing clients, you may schedule up to 8 weeks in advance for your appointments. As a courtesy, you will receive an email or text to confirm your service appointments 72 hours and 24 hours prior to your appointment date. I do understand how easy it may be to forget an appointment therefore all of my appointments are confirmed 72 hours prior via email and text for your convenience. Please ensure that I have your current email address and phone number on file in order to be able to do so in a way that may be beneficial to you. It remains your responsibility to remember your appointment dates and times to avoid late arrivals, missed appointments and help me service my guests better by providing enough notice to avoid the cancellation fees. Your appointment begins at the time it is scheduled for. Please try to arrive 5-10 minutes before your scheduled appointment to make time to use the restroom, fill out paperwork and get settled in for your spa experience. Services started after scheduled time will still end at the scheduled ending time. Ex: If your 60 minute facial is scheduled for 11:00am but we don’t start until 11:10am, I will still need to end your service at 12:00pm in order to get set up for my next client.